A tiny green creature and Jedi Master once said, “always pass on what you have learned,” and we don’t want to disappoint. Therefore, we are force-d to tell you what have learned over the years, when it comes to Halloween decorations: they make any party twice as memorable, and any night twice as spooky. With that knowledge, you must understand however, that only the best decorations are approved by Yoda! 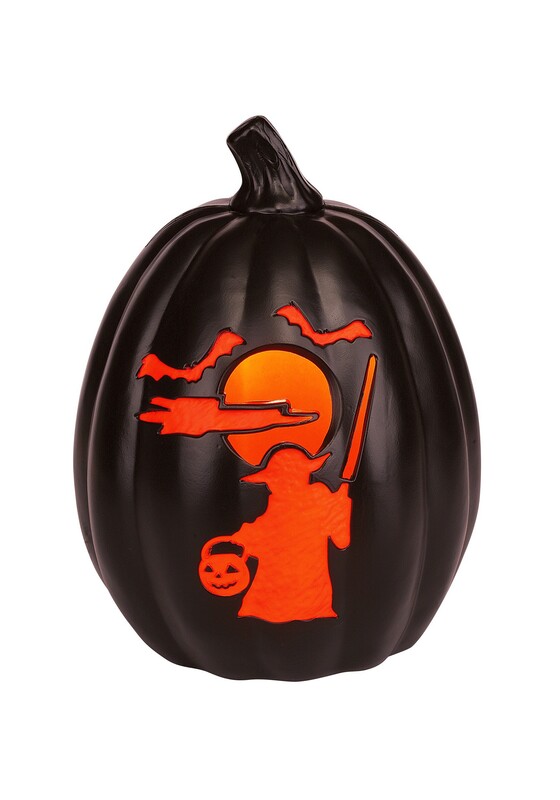 You are in luck though, because this Star Wars 12" Yoda Scene Light-Up Pumpkin was handpicked by the little green man himself… we weren’t supposed to tell you this, but he even posed for it! Yoda only accepts the best decorations because loves Halloween, which makes sense, because he fits right in with all the costumes, and he doesn’t have to worry about getting any funny looks. Plus, (he will deny this if you ask) but we know he's got a real sweet tooth. You can place this decor anywhere to infuse some instant Star Wars into your trick-or-treating scene. The molded plastic pumpkin is a foot tall, and will never rot away! And while the pumpkin shouldn’t get wet, you can place it inside or out, as long as it is by an outlet. So, plug it in, turn it on, and get ready to be transported to a world of Jedis, lightsabers, and candy corn. THIS PUMPKIN YOU MUST HAVE, my young padawan!